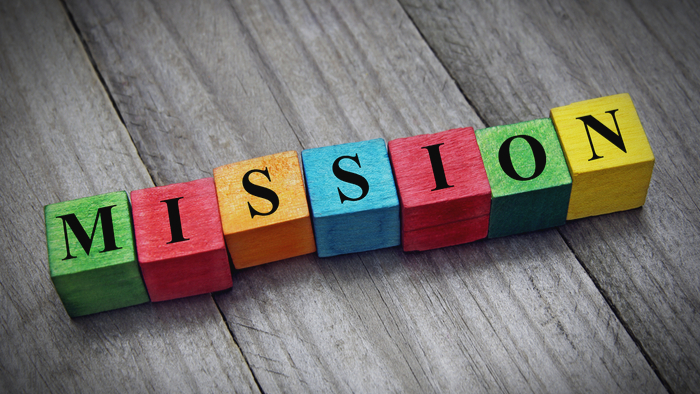 • Ford Foundation discusses the steps it is taking to adopt a mission-related investing approach which will bring about financial returns and advances progress on a foundation’s mission. • What are some success stories with mission-related investing? • Read more about what mission-related investments can do for philanthropy. For the better part of two decades, the world of philanthropy has been engaged in an important, sometimes contested, conversation about “impact”—both how we measure it and how we deliver it. Giving Compass' Take • Causeartist provides three helpful tips when measuring social impact for nonprofits: develop a sustainable framework, maintain the human element, and take advantage of partnerships. • Which metrics are most important for your own work? What are the best ways to analyze data and encourage collaboration? • Learn about building a social impact business. Nonprofit work never ends. There are always other causes that need your attention, more people that could benefit from your support. Instead of looking at charitable work as an uphill effort, make time along the way to measure the social impact of your efforts. Pausing to evaluate your social impact isn’t just valuable because it gives you and your team a chance to breathe and congratulate yourselves on successful projects — you should also use these moments to adjust your long-term fundraising efforts. It’s clear that measuring your social impact is important, so you want to do it right. Implement these three expert tips into your process: Develop a sustainable framework - To generate useful reports about your social impact, you have to first gather the data that your reports will be based on. For that, you need a sustainable data collection and analysis method. Writing your process down and ensuring that everyone on your team knows which elements they’re responsible for will set you up for success in the short and long terms. Maintain the human element - For all the talk of data and analysis, it can be easy to lose sight of the people behind the numbers. Always remember that at the core of your fundraising practices are the beneficiaries who appreciate your support. Whether you’re developing reports for your internal team, your stakeholders, or your beneficiaries, ensure that you’re keeping your work with your community at the center. Take advantage of partnerships - Remember that you’re not alone in your community. There are partners out there waiting for you to approach them for help tackling the difficult problems you aim to solve. So if you’re unsure whether you can meet the ambitious goals you set for yourself, consider reaching out to some community partners! Read the full article about measuring social impact by Andrew Berry at Causeartist. The time is right for us to look at this paradigm with fresh eyes—to consider how we might start to bridge the gap between philanthropic impact and investments. Indeed, we have come to believe that if we expect to overcome the forces of injustice and inequality, we need to expand our imaginations and our arsenals. In short, we must begin to more deliberately leverage the power of our endowment. That brings us to [Mission-Related Investments] MRIs. Through this new tool, we will leverage the power of our endowment and start to unlock the potential of the 95 percent to create impact through the market. MRIs seek to achieve attractive financial returns while also advancing the foundation’s mission. Unlike PRIs, they can bring to bear large amounts of capital in the service of multiple bottom lines. Since the birth of foundations, our endowments have been essential to our work. Going forward, I believe they will become an essential part of our work and how we continue that work into the future. This is the next great challenge in philanthropy: to find and finance more social good than we ever have before.